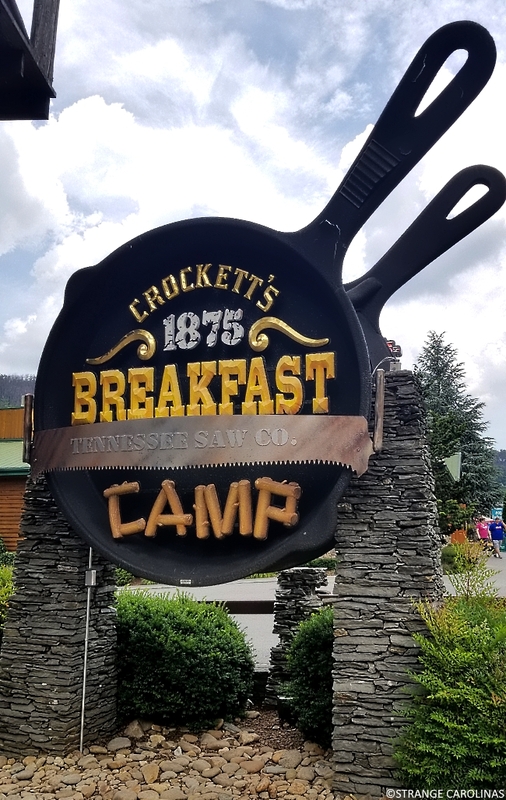 Crockett's Breakfast Camp is easy to find in Gatlinburg -- just look for the giant cast-iron skillet. Why do they have giant cast-iron skillets outside? Their food is served in huge cast-iron skillets, although not as large as the ones outside the restaurant.